During his stint as primary house drummer at Sam Phillips’ Sun Records, Van Eaton stoked his fiery beat on the biggest hits of Jerry Lee Lewis, the last Sun recordings of Johnny Cash, and the hottest rockers Billy Lee Riley ever laid on tape. He played on Sun classics by Roy Orbison, Hayden Thompson, Ray Smith, Warren Smith, and Bill Justis. And yes, you can readily discern J.M.’s reflexive, fluid stickwork from that of the other timekeepers at 706 Union. Van Eaton showcases his singular sense of timekeeping at this year’s Ponderosa Stomp in the fine company of Deke Dickerson and his band. Expect the walls of the Rock ’N’ Bowl to shake with a savage rockabilly rhythmic thrust. 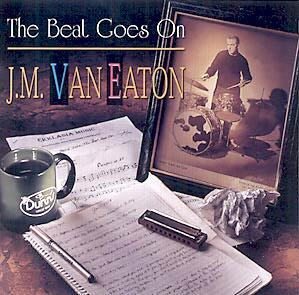 Van Eaton dug the top big-band trapsmen that he heard growing up (especially Buddy Rich), and he grooved on the rhythms emanating from a local black church on Sunday evenings. 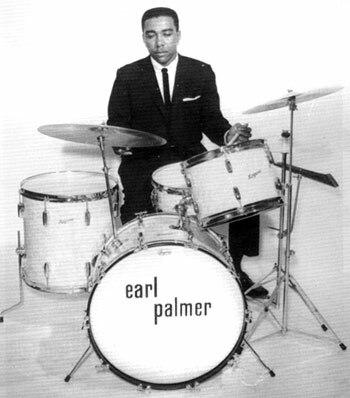 The second-line beat that Earl Palmer pounded out in New Orleans also left an indelible mark. “I thought Earl’s early stuff was a pretty driving force for Little Richard,” he said. Phillips named Billy’s band. “Sam was good at coming up with these crazy names, like Jerry Lee Lewis’s Pumping Piano,” said J.M. “He thought the band needed some kind of crazy gimmick name, so he called us the Little Green Men.” They were outfitted in bright green stage suits made from heavy material likened to that covering a pool table. Van Eaton sported a calfskin head on his bass drum. J.M. 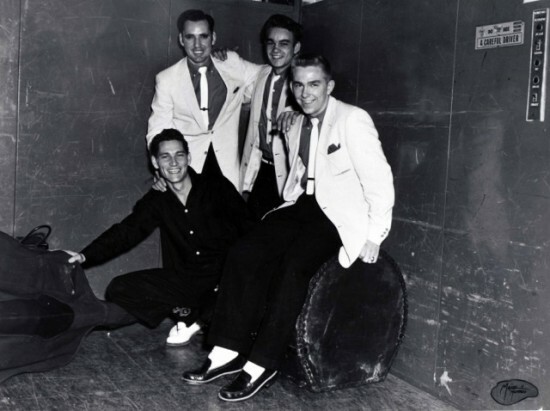 gigged with Riley even before they dropped by Sun to wax “Flyin’ Saucers Rock & Roll” in December of 1956. His thundering drums congealed with Roland’s lead axe and Jerry Lee’s 88s to drive Billy’s insane rocker to stratospheric energy levels. “It was kind of a hot topic of the day, people seeing all these UFOs. It was pretty cool,” said J.M. “It’s a classic. You don’t even have to hear the lyrics. When you just hear that kickoff, you know what the song is. And very few songs can you say that about. Riley’s next Sun offering, a souped-up revival of ex-Sun bluesman Billy “The Kid” Emerson’s “Red Hot,” packed a punch at least as lethal. Waxed in January of ’57 with Van Eaton supplying the backbeat and Janes unleashing two killer solos, it should have made Riley a national star. “‘Red Hot’ was another good record, man. We got a lot of mileage out of it, but it still didn’t break through,” said J.M. “There’s several different arrangements of that song before we came up with the one that they released. But that was the beautiful part about Sun. They gave you an opportunity to experiment with different arrangements until you’d come up with something that really clicked.” However, Phillips was obsessed with promoting Jerry Lee by then, and “Red Hot” slipped through the cracks. J.M. 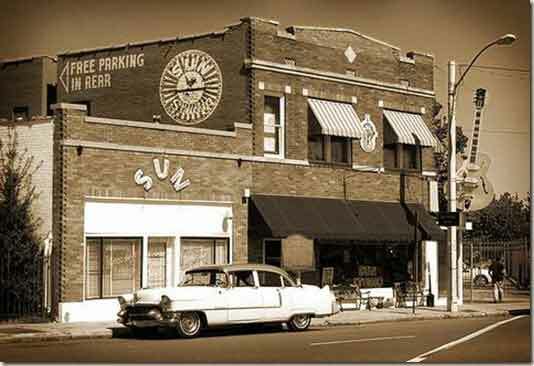 had been on hand when The Killer first turned up at Sun in November of ’56, hungry to record. “Jack Clement was the engineer, and I had been playing with Billy Riley,” he said. “Jerry Lee came up, just him and J.W. Brown, to audition. And Jack called me and wanted to know if I could come down and play some drums behind this guy who didn’t have a drummer or a bass player, or actually have a band. J.W. played rhythm guitar. And so I did that. And actually, out of that audition came the song ‘Crazy Arms.’ It’s just got the drums and piano on it. It doesn’t even have the rest of the band, not even on the thing. So at the very end of the song, I think Billy Riley, who was hanging out down there that day, came in and picked up a guitar and hits a chord right on the end. It just happens to be the right chord. So that’s pretty weird. Van Eaton would play on nearly all of Jerry Lee’s Sun output through 1960, including his immortal ’57 smash “Whole Lot Of Shakin’ Going On.” “We’d gone out on a couple of shows with him, because ‘Crazy Arms’ was already starting to get in the charts, and he was getting some bookings,” said Van Eaton. “In order to pay the bills, we played some clubs. And that required a four-hour gig. And so none of us having played together before, I didn’t know if he had four hours worth of music or not. So we were just playing any and everything that anybody could think of that we all seemed to know. “We were over at a club called Twin Gables in Blytheville, Ark., which I remember fairly well. The bandstand was so small that the bass player and the guitar player had to stand out on the dance floor. And Jerry and I got back in this little cubbyhole. When we started playing, man, all this dirt started falling out of the top of the ceiling. I guess they hadn’t had anybody in there quite as forceful as we were. Van Eaton’s drums were just about all the musical support Lewis required on his next blockbuster later that year, “Great Balls Of Fire”; the electric bassist is all but inaudible, and there’s no guitar at all. “A lot of times Jerry and I would be in the studio by ourselves, and a lot of those songs are just the two of us,” noted J.M. “Breathless” made it three smashes in a row for Jerry Lee during the spring of ‘58. Van Eaton had honed his own distinctive technique, distinguished by his crisp cymbal work. “I put a lot of tape to tone it down so it wasn’t necessarily ringing through like if it was just a normal ride cymbal without anything holding it back,” he said. 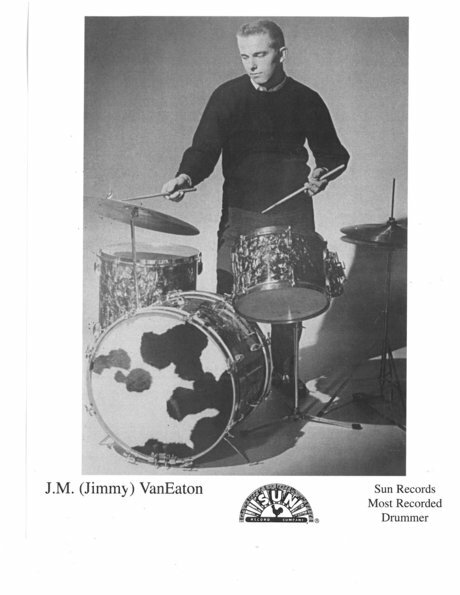 “So it did have a — I won’t say a closed hi-hat sound, but it was somewhere a ride cymbal and that.” Sun’s unique studio properties also factored into the way Van Eaton played. There were plenty of potential stars hanging around 706 Union and Taylor’s Café next door, though a disenchanted Roy Orbison split in 1958 after cutting some fine rock and roll for the label. J.M. played on his “Sweet And Easy To Love” and “Devil Doll” in late ’56. “I liked Roy. I thought he was a super guy. We became pretty close friends, hung out together a good bit before he left Sun. He was pretty upset towards the end because of the material they were giving him to record. ‘Chicken-Hearted,’ stuff like that. He didn’t like that. When you stop to look at the great songs that he’s recorded, then go back and listen to that, you could tell that they had moved him way off center from where he wanted to be. And it hurt him personally,” said Van Eaton. “(Sun arranger Bill) Justis wrote that song or had something to do with it, so they almost forced him to record the thing. And he didn’t like it. He was bitter. It really upset him, and he couldn’t wait to get moved. Tenor saxman Martin Willis joined the Sun house band along the way, bringing some R&B feel to the proceedings. “Martin and I went to school together,” said Van Eaton. “We both were going to go out to the University of Memphis and play. But we started making money making music, which is what we were going to go to college to learn to do in the first place. So we thought, ‘What the heck,’ you know? Although he joined the Sun family as more of a songwriter and session pianist, Charlie Rich emerged as a promising new artist in 1958. Signed to Phillips International, Rich cut a hit late in ’59 with his self-penned “Lonely Weekends,” driven by J.M’s innovative bass drum work. The song sprang from a quasi-gospel number Rich had waxed earlier in the year, “Big Man,” that he had nothing to do with composing. Things were changing at Sun at the dawn of the new decade. Clement and Justis had exited the previous year. Phillips constructed a spacious new studio nearby at 639 Madison Ave. that was more technically advanced yet often failed to capture the same riveting sound that made 706 Union such a marvel. “They get over to the other studio, where they had that big, humongous echo chamber, and they started throwing all that stuff on there, which gave it a little different sound,” said Van Eaton, who decided it was time to make his exit soon after the new facility opened for business. Rita nailed a big hit in 1960 with Harold Dorman’s “Mountain Of Love” (which J.M. played on), and for the first time Van Eaton was asked to step into the spotlight as a bandleader. “They wanted to cut some instrumentals on me, but it didn’t do as well as ‘Mountain Of Love,’” he noted. “Foggy” and plattermate “Beat-Nik” hit the shelves credited to Jimmy Van Eaton, while the grooving original “Midnite Blues” and a brisk instrumental rendition of “Bo Diddley” on its opposite side emerged on Rita’s sister label, Nita, credited to J.M. Van Eaton and The Untouchables. The drummer indulged in a solo here and there, underscoring his inventiveness. J.M. cut a version of “Jump Back” as his vocal debut in 1964 at Janes’ Sonic Studios, though it wouldn’t see light of day for decades. “That was one that we were doing. And it was pretty popular, so Roland, we were down at his studio one day messin’ around. So we put that down,” he said. “That’s Travis Wammack on guitar.” Van Eaton also waxed a vocal treatment of “Something Else” with Roland that was similarly dispatched to the vaults until the Bear Family imprint of Germany belatedly issued both sides. By 1979, Van Eaton had turned his sights to playing with a gospel group, the Seekers. The drummer wrote prolifically for their album, released on a label owned by local producer and fellow Sun alumnus Stan Kesler. J.M. settled into a day job as an investment banker in 1983, though it didn’t interfere with his musical interests. Kesler joined Van Eaton in the original lineup of the Sun Rhythm Section during the mid-’80s, along with Sun rockabilly titan Sonny Burgess, ex-Johnny Burnette Trio lead guitarist Paul Burlison, pianist Jerry Lee “Smoochy” Smith (he was on the Mar-Keys’ 1961 smash instrumental “Last Night”), and bassist Marcus Van Story. “I went with those guys for a while,” said J.M. “Then they started traveling all over the world. I didn’t want to do that. I couldn’t do it. I had other obligations. It wasn’t that I didn’t want to, but I had other financial obligations that I had to take care of here, so I couldn’t be gone that long.” Van Eaton was replaced in the band by former Elvis drummer D.J. 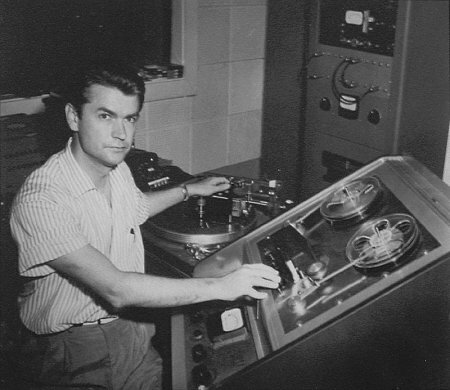 Fontana, though he did appear on their Flying Fish album “Old Time Rock ‘N Roll.” A few years ago J.M. released his own aptly titled vocal CD, “The Beat Goes On” (he also played harp on the set). When contacted in Memphis, Van Eaton was planning his Stomp set. “I’m playing with a guy named Deke Dickerson, which I’ve never met before,” he said. “I’ll just be the drummer, I guess. I may do ‘Flyin’ Saucers Rock & Roll’ and ‘Red Hot,’ which I try to do on shows. Whatever works for them. But I’m going to have to let them make the call on that. I’m sure what we’ll do is songs that I played on, hit songs. And there’s enough of them to fill up a whole set, so we’ll probably do songs that I played drums on. To see and hear Van Eaton and a host of other unsung rock ‘n’ roll heroes at this October’s concerts, buy your tickets to the 2015 Ponderosa Stomp right here.